Anyone visiting Al Quseir would be impressed by what the village of yesterday has become today: a charming town vibrating within a mixture of Old World traditionalism with the modern influences of the New World. Both visitors and residents can admire an ancient heritage, historic buildings from various earlier civilizations, and a picturesque seafront setting. 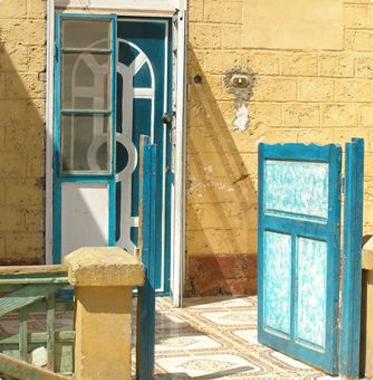 140 kilometers south of Hurghada and 120 north of Mars Alam; here one may go scuba diving in the Red Sea, or spend a comfortable afternoon sunbathing on an isolated pristine beach, and then, whenever the mood strikes, inspect some of the amazing historical sites located conveniently nearby. 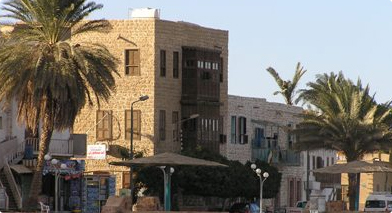 In modern times, Al Quseir has grown from a fishing village mainly inhabited by the Adabda, a Bedouin tribe of this region to an industrious mining town to a combination of both with an infusion of the tourist trade. Nowadays one can enjoy all the commodities of modern life, it's still a very exciting experience to wander through the cobbled-stoned paths of Quseir, admiring the houses, both old and renovated, perhaps attracted by the sight of a beautifully carved door or an ornate balcony and eventually discovering that you are lost to a time long passed. Old buildings built in the classic French and British styles, with large terraces and wooden balconies, are being protected from being sold and demolished. who had come as pilgrims and for one reason or another didn't go back to their homelands. The Islamic influence is still found in the exquisite architecture displayed by many of the buildings in town, with their intricate wooden terraces and mashrabiyyas. They were designed to catch the breeze which is then transformed into air currents moving throughout the house, providing good ventilation and comfort, again, a real necessity during the hottest part of the summer. Moreover, the wood was carved in such a way that it was easy to look outside while remaining hidden from public view. The past of ancient Al Quseir emerged as a number of historians and research teams studied this area to determine the relevance in regard to the deeply rich Egyptian chronicles. As the subject of exploratory excavations between 1978 and 1982 (Whitcomb and Johnson 1979; 1982a,b), Al Quseir was thought to be the moderately minor Roman port of Leucos Limen. In 1993, researchers from the University of South Hampton theorized that old Quseir was the site of Myos Hormos a major strategic port of the Red Sea. Then in 1994, ostraca from the French excavations on the road between Quseir and Qift, confirmed the port at the end of the road was indeed, Myos Hormos. This port was a hub for trade during the Ptolemaic and Roman periods and was engaged in trade with India and perhaps China. It was, by all standards, one of the great trading centers of the ancient world. It was through Myos Hormos and its sister port Berenike that Rome obtained luxury items from the Orient, such as spices, silks and pearls in exchange for goods such as wines, fine pottery, glass and textiles. Ottoman Period, Napoleon, and then the British Empire occupied it as a key port. During the French occupation of Egypt, Quseir was the arrival point for Arabs and Muslims from Hegaz to fight beside the Mamalic against the French Army. Again, the strategic importance is highlighted by repeated attempts of the French navy to take the citadel in 1798. Too strong to be taken by sea, the citadel was eventually overcome by a land invasion and served as a French stronghold during the battles between the French and the British for effective control of Egypt. The construction of the Suez Canal in 1869 led to the decay of the town. With the crossing to the Mediterranean suddenly made easier, Al Quseir Egypt lost its prominent place as a link between the Occident and the Orient. Then again, mid nineteenth century, the city truly began to flourish as a central port in both the grain trade and, with the restored fortress of Al Quseir, the transportation of pilgrims to Mecca. Thousands of people flocked to the city, eager to take advantage of the tax benefits and freedom from military service granted by the ruler Mohammed Ali to the residents of Al Quseir. Unfortunately, famine and the disruption of the grain trade resulted in a decline of the city’s fortunes, until the arrival of the phosphate company in the early twentieth century. The recently restored fort now hosts a fascinating Visitors' Center with displays of local history, archaeology, and culture.